KEC and Silje Ask Lundberg, chair of Friends of the Earth Norway (photo Kristian Skjellum Aas). In the newly published report "Pressure towards Russian environmental NGOs", Friends of the Earth Norway expresses concerns about the future of Russian civil society. The concerns seem to be well grounded, as yet another of Friends of the Earth Norway’s Russian partner organizations recently was labeled “foreign agent” by Russian authorities. Kola Environmental Center labeled as "foreign agents"
The law on foreign agents that now is being used against Kola Environmental Center (KEC) were adopted in 2012, and is effectively used to silence Russian civil society. The law states that Non-Governmental Organizations (NGO) receiving grants from abroad while being involved in political activities, must label themselves as foreign agents. By the end of April 2017 160 NGOs have received this stamp. The branding stigmatizes the organizations, and makes day to day environmental work hard. Several organizations have received large fines, and as a result many of them have deemed it necessary to dissolve their work. "It is essential for Friends of the Earth Norway to be able to continue our cooperation with our Russian partners, especially with today’s cooling political climate" says Silje Ask Lundberg, chair of Friends of the Earth Norway. She explains that Friends of the Earth Norway will work on adopting the cooperation to prevent the "foreign agent" branding from stopping the important cross-border work. “We hope and believe that our projects can continue, albeit in a slightly different form than before”. The use of the foreign agent law has had grave consequences for the Russian civil society. The report expresses concern that Russian authorities in their efforts to silence civil society increasingly will target individual activists, as the number of NGOs is thinned out. “Hate attacks against environmental activists have already occurred. An activist from Ufa Environmentalists’ Union was attacked directly after he met with a waste company he was criticising” says Vitaly Servetnik, co-author of the report. Environmental organisations and individual activists are also facing more than the direct pressure from the authorities; many other actors are also participating in this "witch hunt" of the “traitors”: Propagandist media, so-called patriotic forces and pro-governmental NGOs. The report also shows concern about increased pressure against international organizations working in Russia due to a law on unwanted organizations, adopted in 2015. Read the full report here. 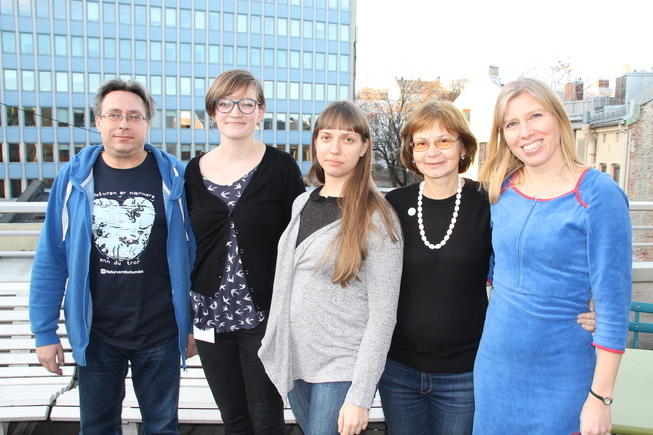 Friends of the Earth Norway's other reports on Russian civil society can be found here.